Giving to others is what our nurses are made for. In the wake of the devastation that Hurricane Harvey inflicted upon the Houston area, the need for medical care rose to crisis levels for those impacted by the flooding and who rely on their healthcare providers to manage existing chronic conditions. 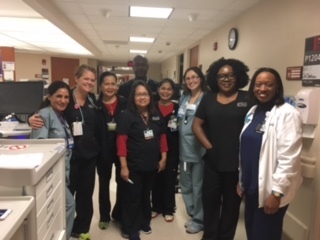 In response, Northwell Health connected with its counterparts at the Houston–based MD Anderson Cancer Center to offer assistance to match the hospital‘s specific needs. Within 24 hours after requesting help from its clinicians, Northwell enrolled more than 600 employees interested in volunteering. Here is one of our volunteer’s stories. As nurses and healthcare workers, we are there for people at times when they are most vulnerable; we step up when we are needed without a moment of hesitation. I was in nursing school when Hurricane Sandy destroyed my hometown of the Rockaway’s in Queens in 2012. Thanks to the kindness and amazing gestures of so many who stepped up when we needed them the most, my neighborhood made a strong comeback, allowing me to graduate on-time and start my dream job as a float nurse for Northwell Health. When I heard that Houston, Texas was expecting to be heavily impacted by Hurricane Harvey, I immediately stepped up to volunteer. The week that I spent in Houston was an amazing experience that allowed me to give back to the world the same gestures that were once given to me in a time of crisis. I was able to use my talents and training as a Northwell Health Nurse in a way which was valued and so appreciated by so many. 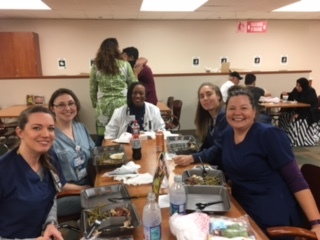 I was so proud to be a part of Northwell’s nursing team during that week in Texas as I relieved the nurses and allowed them to get home to their families and to begin the recovery process. It was one of the most rewarding experiences I’ve ever had as a nurse, and the finest example of how Northwell Nurses and I are Made For This! Northwell Health Nurse Educators inspire and influence the professional role of healthcare professionals every day. Each day the educators are creating nurturing learning environments, improving academic partnerships with nursing schools across the United States, inspiring present and aspiring healthcare professionals through mentorship, and influencing the efforts of improvements in quality and safety in patient care. Find out more about our nurse educators contributions to our successes and the potential opportunities available to Nurse Educators. Northwell Health Nurse Educators facilitate learning opportunities with high fidelity simulation at the Patient Safety Institute, and learning opportunities at in-patient and out-patient healthcare settings. The learning activities include simulated mock codes, hands-on clinical skills practice sessions, analysis of patient case scenarios with learners, education on interdisciplinary teamwork, practice with communication tools such as TeamSTEPPS, and integrate the humanistic approaches to patient and family care. 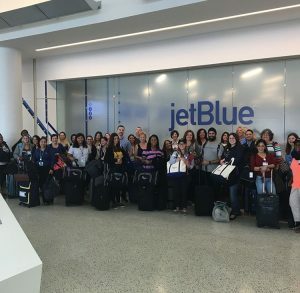 Northwell Health Nurse Educators coordinate and educate nurses in fellowship programs such as pediatric, emergency department, peri-operative services, labor and delivery, and critical care and work with the nursing students in a summer nursing student externship program. Nurse Educators contribute to over 30,000 contact hours available to nursing staff including conferences with nationally recognized speakers. “Made for this.. is the motto for our health system, and as a nurse educator, professional development and growth for the team is my primary goal. Through the application of clinical expertise, individuals are driven to improve the care that they provide and ultimately improve the outcomes of our patient’s,” said Ariceles Prince, Critical Care Nurse Educator, Long Island Jewish Valley Stream. Northwell Health Nurse Educators work in collaboration with over 50 nursing schools from across the United States. In 2016 Northwell Nurse Educators worked with 5,000+ undergraduate and graduate nursing students. The educators’ efforts include coordinating, assisting, and supporting preceptor placement; academic guidance; and exposing aspiring nurses to the diversities of nursing (eg: flight nursing). 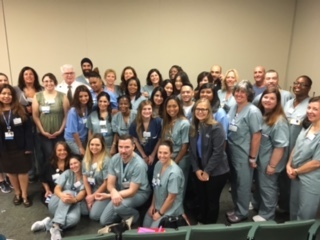 Northwell Health Nurse Educators encourage and support over 1800 employees on the nursing academic track (or considering returning to nursing school) or purist of specialty nursing certifications. Northwell Health Nurse Educators provide mentorship from novice through experienced nurses and other healthcare professionals. The mentorship role includes supporting nurses towards or maintaining their clinical ladder status with nurses growing in tents of Education, Research, Quality, Service Excellence, and Leadership. Mentorship continues with participation in the Northwell Health – Mentoring and Professionalism in Training (MAP-IT) program in the development of humanism among healthcare providers including physicians, nurses and other healthcare professionals. “What I wanted when I entered nursing was to help people. As a Nurse Educator, now I can cast a wider net. If I can teach orientees how to treat people the way they would like to be treated, I’m fulfilling my original goal in a bigger way as a Nurse Educator here at Northwell Health. Being a nurse educator here is so much more than just a job or teaching; it’s an honor,” said Shoba Kanagamani, System Nurse Educator, Institute of Nursing. Northwell Health Nurse Educators utilize evidence-based practice and research to guide the practice of quality and safety in patient care and education as evident by quality outcomes. Northwell nurse educators are leaders and supporters to facilitate the pursuit of continuous quality improvements. Northwell Health’s champion model has supported a 57% reduction in ICU-CAUTI and a 48% reduction in Non-ICU CAUTI since 2014, a 31% decrease in Clostridium difficile (C difficile) since 2014, and a decrease in pressure ulcers by more than 64% since 2012. Throughout the health system our nurses depend on our educators to help them understand best practices and to help them advance their skill sets. For them, they always have the support they need, and for the educators, they are always excited to help. “Being in this position, and most importantly, in this position at Norwell, I have been able to expand my knowledge each and every day and I continue to follow my dreams while working with a team that I can depend on. Being a Northwell Nurse Educator has truly allowed me to flourish in my profession and has given me the tools I need to keep succeeding. Because of Northwell, I am made for this,” said Melinda Constantine, Assistant Director of Education, Professional Development & Research Operations, Long Island Jewish Medical Center. Explore our Nurse Educator Opportunities. It’s amazing what a difference a day can make. IT professional Amrit Singh found that out last year when he attended the Northwell Health IT Virtual Career Fair. At the Virtual Career Fair, Amrit visited a variety of virtual “booths” that enabled him to explore opportunities in data security, IT infrastructure, project management, clinical informatics, medical informatics and more. 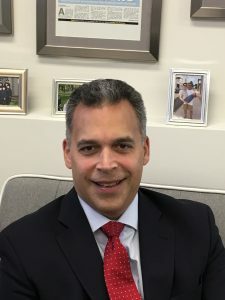 When he discovered the area that aligned with his skills and experience, he was able to speak directly with Northwell Health IT staff and even secured an interview. Following the IT Virtual Career Fair, Amrit was offered the opportunity to join our IT team as an IT Project Administrator for the Office of the CIO. He’s contributing his expertise to an impressive group of more than 1,500 skilled professionals who are implementing and supporting advanced clinical and technological systems to help one of the nation’s largest and most forward-thinking healthcare organizations redefine care. Amrit took on this new role because of the great potential for growth and fulfillment it offered. The top 3 things you need to know about our new Wellness program. Virgin Pulse purchased ShapeUp in 2016. As the new partner for myWellness, they have numerous enhanced functions compared to the previous platform and are the leading vendor in their class. Northwell Health is passionate about keeping our employees and the communities we serve, safe and well. The new myWellness program is an excellent tool to support total well-being based on upgrades to content and resource accessibility. The best part about registering for the new platform? A free personal activity tracker along with a robust mobile app for easy access to tracking on personal devices. The new myWellness platform is highly interactive. Each day, members earn rewards points daily for tracking healthy habits like hours slept, steps, drinking water and much more. The refreshed program incorporates three basic steps to support behavior change to help employees reach their wellness goals. Step 1: Get specific. Step 2: Make it easy. Step 3: Trigger the behavior. When we focus on building tiny habits, we increase the likelihood of making lasting change. All of our employees are encouraged to take the 100% confidential, voluntary Health Risk Assessment to receive feedback on their current well-being status and to drive the creation of personalized content in the myWellness program. Personal challenges – ranging from getting more steps to tracking sleep with friends on the platform – are easy to create and yield additional ways to earn reward points. The PROGRAMS page on myWellness is a valuable tool for employees to centrally access a wide range of health and well-being resources available to them throughout Northwell Health. Since the launch of the upgraded myWellness program on August 1, there are nearly 25,000 Northwell Health employees registered, and the number continues to grow each day. Approximately 45% of the registered users were registered in the previous platform, the remainder are new users of myWellness. The interactivity and gamification, customized content, individual and enterprise-wide challenges, will all play a role in keeping employees engaged with their health through this program. Our partner, Virgin Pulse, also provides content updates periodically throughout the year to keep the content fresh. Keeping our employees happy and healthy is one of our top priorities. We understand that the balance between work, life, wellness, and everything else is a tricky one, and we want our employees to feel support within each area. That’s why our employee wellness team continues to enhance our programs and will be on the road visiting sites throughout September and October encouraging our employees to take the next step in their health and to join our newly refreshed platform. Welcome to “An Appointment With,” where we sit down one on one with leadership, doctors, nurses and more to bring you their stories. Today we’re meeting SVP, Chief Marketing and Communications Officer Ramon Soto, who was the most recent winner of the AHHE Hospital Executive of the Year Award. How did you know that coming to Northwell Health was the right career move for you? I didn’t at first. I was born in Brooklyn and raised in Patchogue. When I heard about the Chief Marketing Officer position at Northwell Health, then known as North Shore-LIJ Health System, I just remembered the small health care company from my childhood. After doing my research, hearing Michael Dowling speak, and learning about the advancements at the Feinstein Institute for Medical Research and the Hofstra School of Medicine, I fell in love. I saw the power of this organization and I knew there were stories waiting to be told. This is the best job I’ve ever had. How has the rebranding process at Northwell Health impacted the organization? Fundamentally, our hospitals used to run regionally and people associated themselves with the single hospital they worked for. Now people feel like they are all together, and there is a sense of community. This has helped improve our engagement scores. As separate entities, people didn’t know who we were and how we were all connected and now they see all of our locations as one. There has been an undeniable unifying effect on the inside, and ability to shine as a destination health care system. What is your perspective on leadership? 90% of leadership traits are trainable and there are things you can do throughout your career to be a good leader. My philosophy is: don’t just “dabble” in anything, take it on with all you’ve got. You should know your stuff and strive to be the subject matter experts. When making a decision, you should bring everyone together to help. Leverage diversity of thought and unity in action. If you give people a voice, the execution is always better. If you can adapt your leadership style to fit the needs of your audience as well as the organization, you will be able to grow and flourish. You recently earned the AHHE Hospital Executive of the Year Award. What have you learned from that experience and what did that mean to you? The most important part of the awards evening was that my family was there and I was able to reflect on my heritage. This award made me think of my father. He came from Puerto Rico when he was 12 and he didn’t speak a word of English. He pulled himself up from poverty by going to school at night and working hard. He believed you always had a choice: work a job you enjoy or work a job as a chore. He also said to always stretch yourself, whenever you think you can’t do more, you can. His wisdom helped shape who I am today. I went back to get my MBA at 40 even though I had a successful career because of the drive he instilled in me. Many people of diverse backgrounds have stories like this, and that’s why in terms of diversity in the workplace, it’s important to include individuals from all backgrounds based on their experience and what they’ve done. We need qualified candidates and we need to choose the best of the best. If we don’t include everyone in that pool of candidates, we’re missing out. However, no institution should ever settle for people who aren’t the top or relax their standards to bring on talent that isn’t qualified. What is an interesting fact that people should know about you? I had a perm in high school! We invite you to come back for the next moment in our Appointment With… blog! 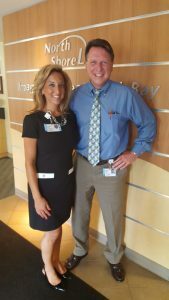 Meet Madalyn Frank-Cooper, Director of Patient Care Services at Long Island Jewish Forest Hills. We sat down with her to talk about her career progression and to simply understand why she loves her job. Here is what she has to say. Why did you fall in love with Emergency Services? I first fell in love with EMS when I was working as a medical assistant many years ago. One day, while I was working, we called for an emergent transfer for a patient to the hospital. I was in awe of the EMT’s professionalism, their quick and thorough assessment skills, and the transfer of the patient to the hospital setting. I next joined EMS, and a short time later enrolled in nursing school to further my education and become an RN. I began my career at Lenox Hill Hospital in the ED. I was fascinated by the coordinated, quick decision making of the inter-professional team in this fast paced environment. I was a clinical nurse for approximately 5 years and was afforded the opportunity to become a clinical liaison, and next found my path in leadership. What is your role as Director of Patient Care Services? My role as Director of Patient Care Services is to ensure the best possible care to our patients and to provide our employees with the knowledge and support to do so. This includes promoting an exceptional patient experience, employee engagement, quality outcomes, and a safe environment. I feel this role is important because enables and promotes avenues for advocacy for patients, families, and staff. How do you continue to push your employees to provide top quality of care for our patients? Nursing is dynamic and can drive change. Placing the patient at the forefront, eliciting feedback from the front line, and explaining the reasons why assist to drive quality of care. Structures we have in place to examine our quality of care include Collaborative Care Councils, Committee work, and focus groups. These structures promote shared governance and provide insight for the care we are delivering. We have the Nurse Activated Stroke Code Project, where using specific criteria, the nurses are empowered to activate the Stroke Code at the patient point of entry. This has shown to be successful in decreasing our door to doctor, and door to imaging time. Early recognition and treatment yield better patient outcomes, increasing the likelihood of a full recovery. Next, we are looking to expand this concept to patients with sepsis and initiate a Nurse Activated Code Sepsis, with the goal of improved outcomes. We’re redefining health care with IT. Join us at our Virtual Career Fair! Making health care better is a big deal, and it takes the sharpest minds and most tenacious technology leaders to make it all happen. Our IT team is an impressive group of more than 1,500 skilled professionals implementing and supporting advanced clinical and technological systems for one of the nation’s largest and most forward-thinking healthcare organizations. It wasn’t long before Astrid became a key member of the Northwell Health IT team. At this event, you will be able to explore how our IT team helps protect our employees and our patients. Our top IT leaders and staff will be there to answer your questions. And so far, we have over 18 booths ranging from Risk Management to Project Management Applications and Clinical Application Support. Think our Information Technology department might be the right fit for you? Register to attend our 2nd annual Virtual Career Fair here! Looking for the perfect career destination? You’ll wish you were here! Get ready to pack your bags – or at least your resume. Here are ten great reasons for making the move and joining us at Peconic Bay Medical Center (PBMC). #1 – Big hospital advantages. Small hospital feel. We’re a 182-bed acute-care hospital and designated stroke center, and though we’re a regional medical center, we have a strong community focus. Our working environment is close-knit and teammates are more like family. #2 – A community that will embrace you. Peconic Bay Medical Center is the area’s trusted source for quality care. We have employees who were actually born here and grew up in the community. But no matter where you’re from, this is a place where you’ll be immediately welcomed. That means you’ll be able to offer a full continuum of care to your friends and neighbors. #3 – We’re going somewhere fast. We never settle and are always moving forward. Our award-winning Kanas Center for Advanced Surgery is home to the da Vinci Surgical Robotics Program. PBMC also features Centers of Excellence in Bariatrics and Joint Replacement and is a recipient of the prestigious Joint Commission Gold Seal of Approval for Total Joint Replacement for Hip and Knee. #4 – Getting here is half the fun. As beautiful as our location is, the commute here makes it even more attractive. It’s an easy and peaceful commute, through picturesque countryside. #5 – Technology to write home about. When it comes to our clinical capabilities, we refuse to compromise. This includes a brand new, state-of-the-art cardiac cath lab and electrophysiology lab, advanced OR robotics and innovative technology throughout. #6 – A nice place to visit. An even better place to live. #7 – Never a dull moment. With approximately 30,000 emergency visits each year, we have the busiest ED on the east end of Long Island. This translates into a dynamic and fast-paced environment in all of the areas of our hospital. At Peconic Bay Medical Center, we promote an environment where our people are valued, their skills are advanced, their knowledge is expanded and their ideas are respected. This keeps us inspired, involved and engaged. Our long-term satisfaction proves it! #9 – You learn something new every day! Continual professional development is a priority for us. We have a “Back 2 School” program where the hospital supports cohorts of nurses going back to school. We also offer a wide variety of educational resources, including the most advanced simulation center on Long Island. #10 – It’s the place to grow! Need even more reasons to join us at Peconic Bay Medical Center? Find out more.